The last Amigas had IDE or even SCSI HD controllers as standard. 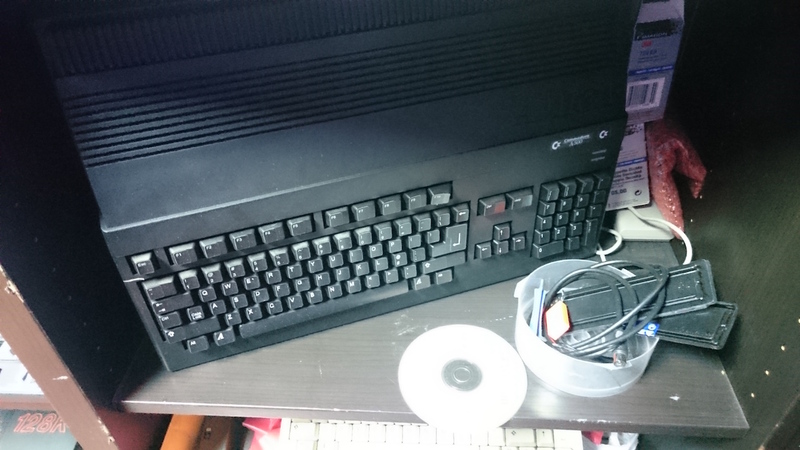 Amiga 600, Amiga 1200 and Amiga 4000 got a IDE controller, while Amiga 3000 got a SCSI controller as standard. 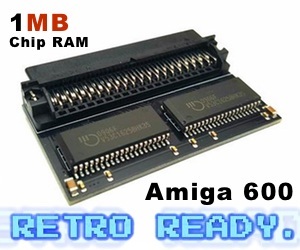 But what about Amiga 2000 which was released in 1987? This really neat product that improves A2000 compatibility with IDE devices is really handy. 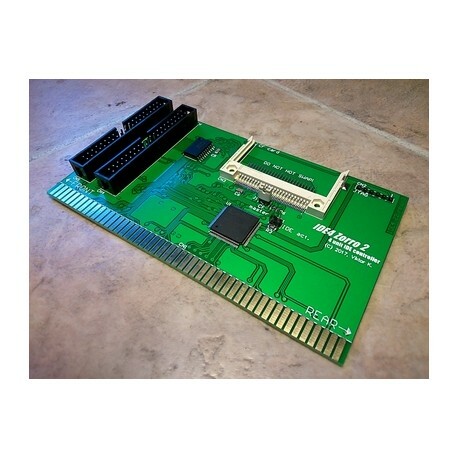 IDE4 Z2 is a Gayle compatible 4 unit IDE controller. It supports upto 4 IDE devices on two ports (primary and secondary). Without any additional driver, the primary port is active (Kickstart 2.05+ is required). To be able to use the second IDE port on the IDE4 product for Amiga 2000. Then you need IDEfix to be able to access and use the second port for a second Hard Drive or to use a CD / DVD device (the default scsi.device in ROM doesn’t support it). IDEfix is however not bundled with IDE4. Compact Flash card reader included. Use it as Master! 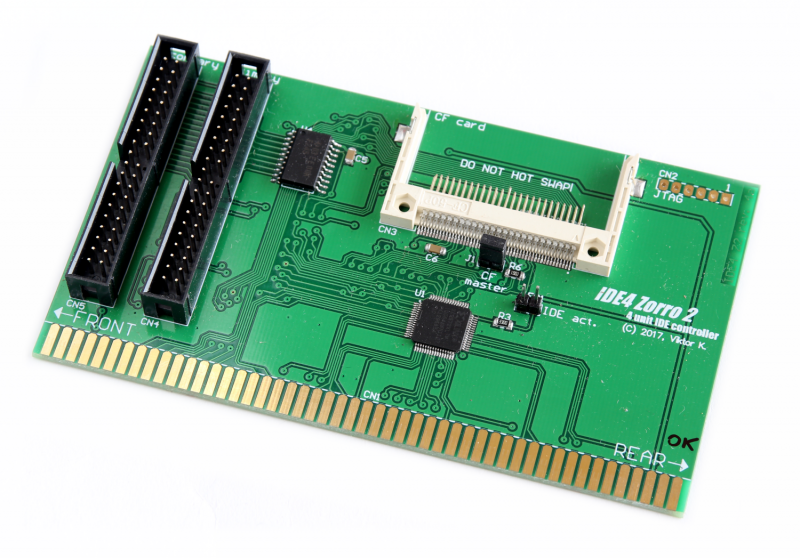 The Compact Flash memcard compatible Slot can be used as master or slave (jumper on the board). By using a compact flash you can easy make your favorite Amiga HD setup in MorphOS or by using UAE on other operating systems. Zorro2 port required for IDE4 card to work. This card is for sure plug and play. You can get it for €104,90 which includes tax from Amedia Computer France. 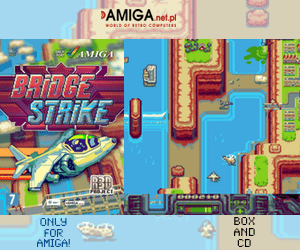 They also provide one of the best customer services in the Amigaworld. So! If you own an Amiga 2000. This product is for sure a great buy. 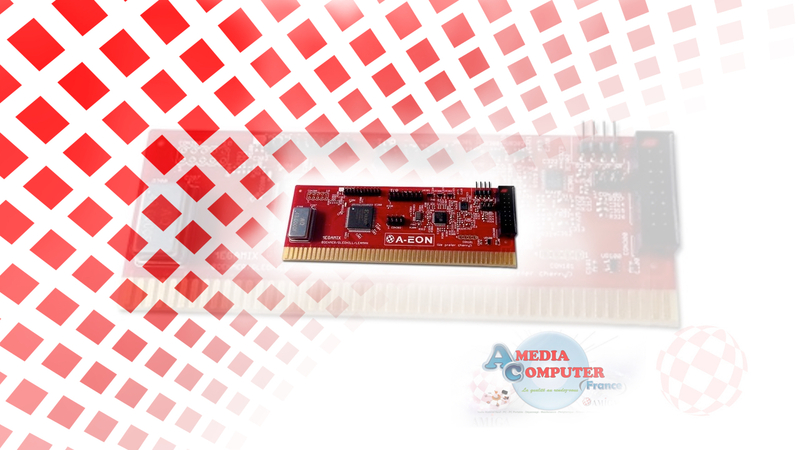 Together with the SD-CARD reader for Amiga 2000. Your Amiga 2000 will reach a new millenium for sure. 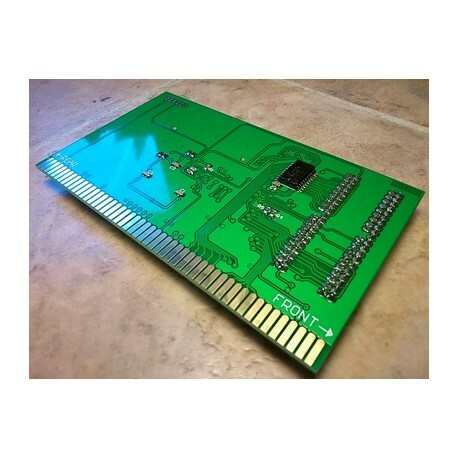 This is a great gift for your Amiga 2000.